Plan a romantic trip for two or family vacation to Catch Me If You Can, one of our largest one-bedrooms cabins in Pigeon Forge. 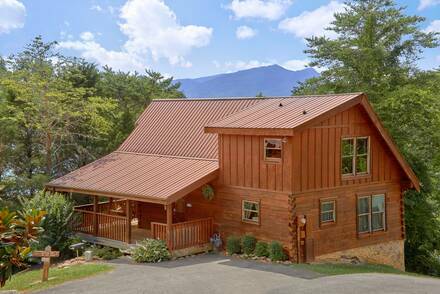 Only half a mile from the Parkway, this elegant cabin is situated in a quiet log cabin area and has a magnificent view of the Smoky Mountains. 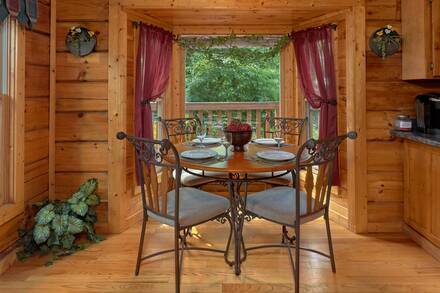 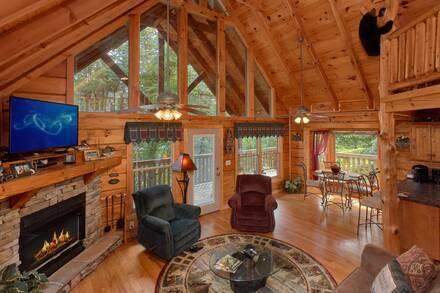 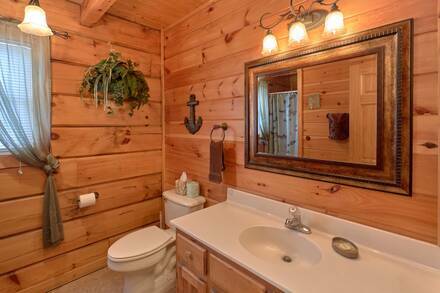 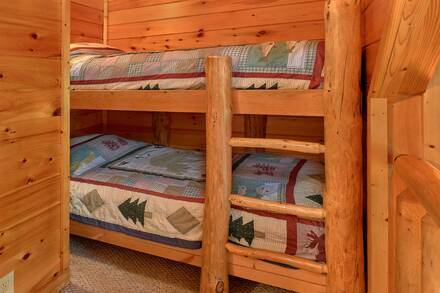 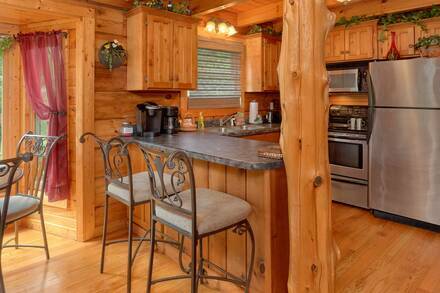 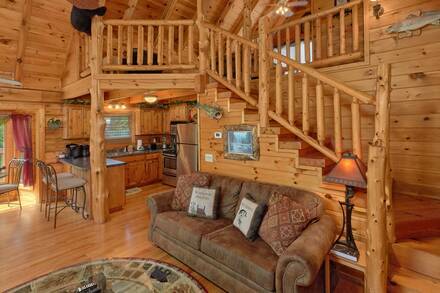 The interior of the cabin combines mountain charm with sophistication and plenty of natural light. 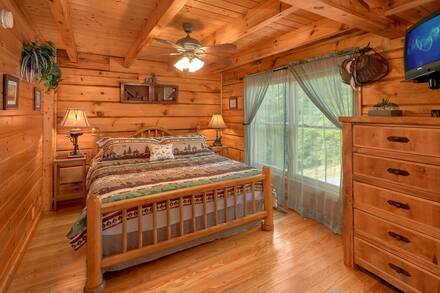 Either end of the cabin has full windows, making this one-bedroom cabin seem even more spacious than it already is. 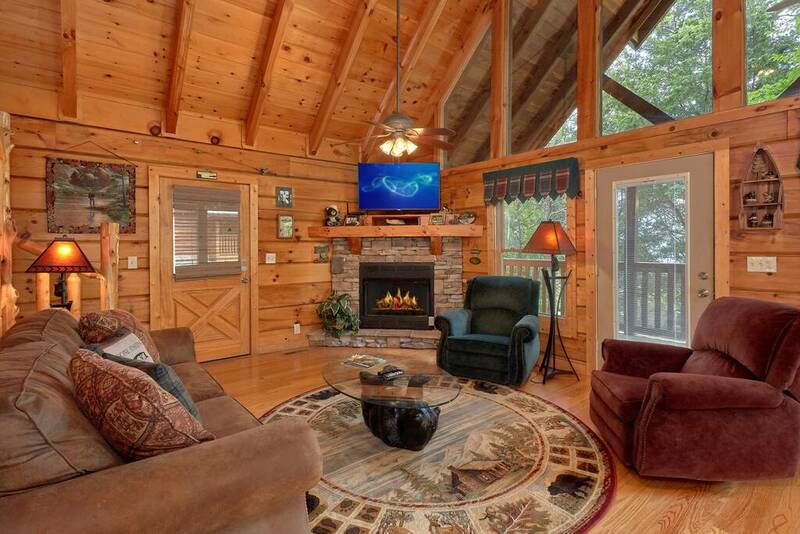 A charming lounge features a sizeable fireplace of stacked stone, with comfortable chairs and a wide-screen television mounted above the mantel. The full kitchen takes the stress out of driving to dinner and the stunning dining room has a large bay window and wrought iron table. On the same floor is the large master suite. 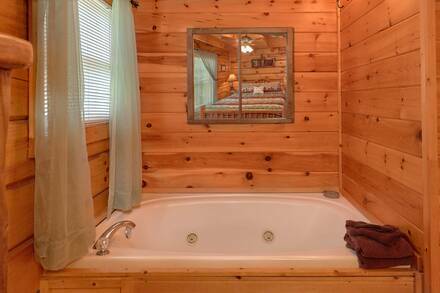 Relax in privacy with king-sized bed, while its full bathroom even includes its own jacuzzi. 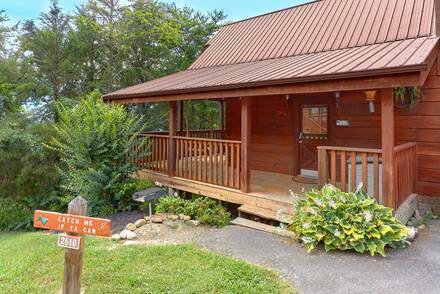 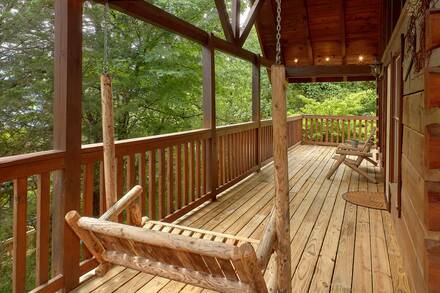 This lovely spot has a wraparound porch that alone offers multiple opportunities for serious relaxation. 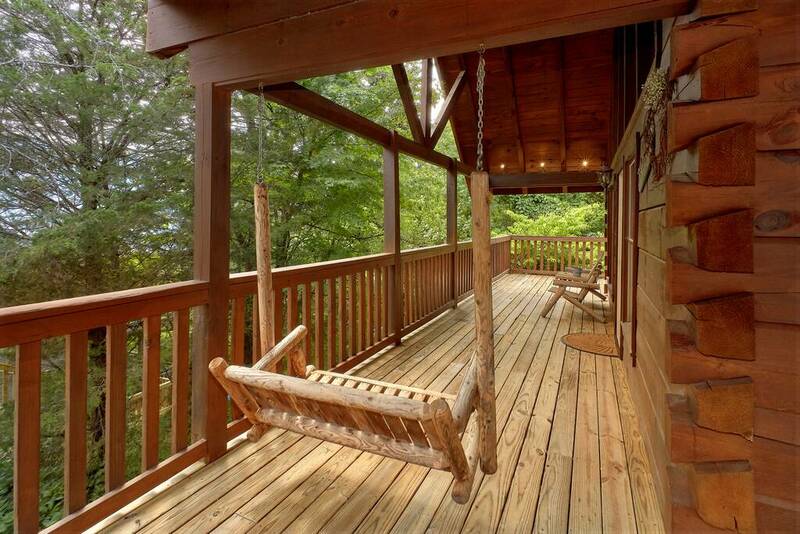 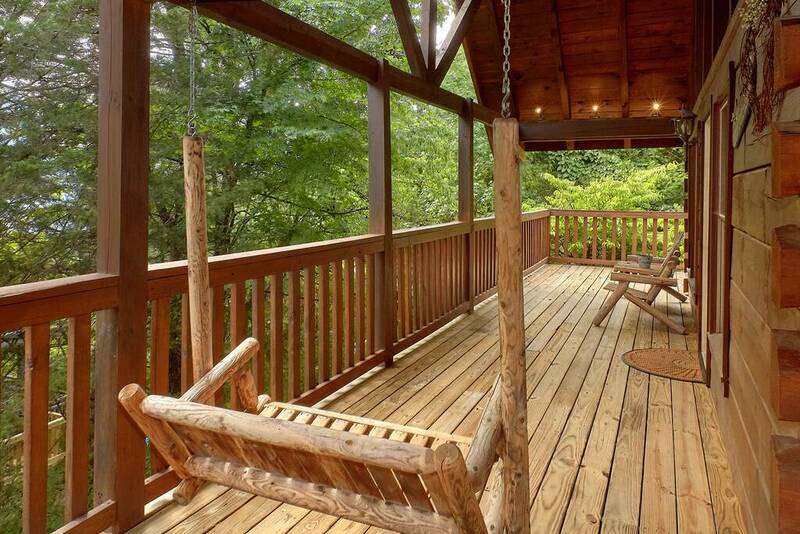 Take your coffee to the porch swing or rocking chairs in the morning and gaze at the beautiful mountain vista. 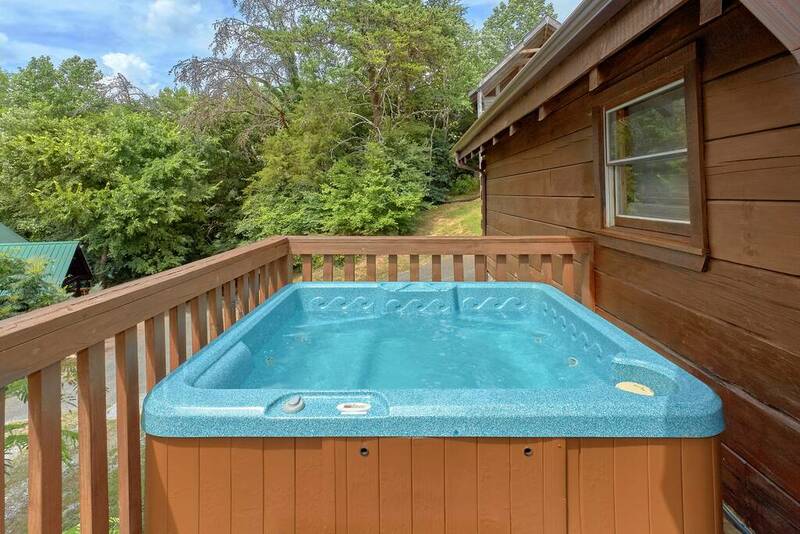 The porch also contains a hot tub, which is an unforgettable place to watch the sun set over the Smokies and the stars come out. Should this be a family trip, children of all ages will love staying in the loft. 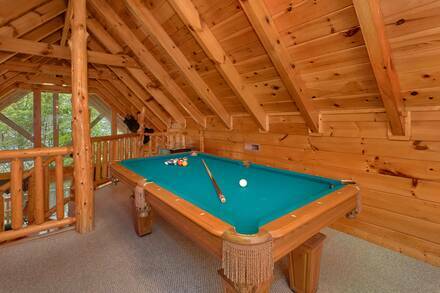 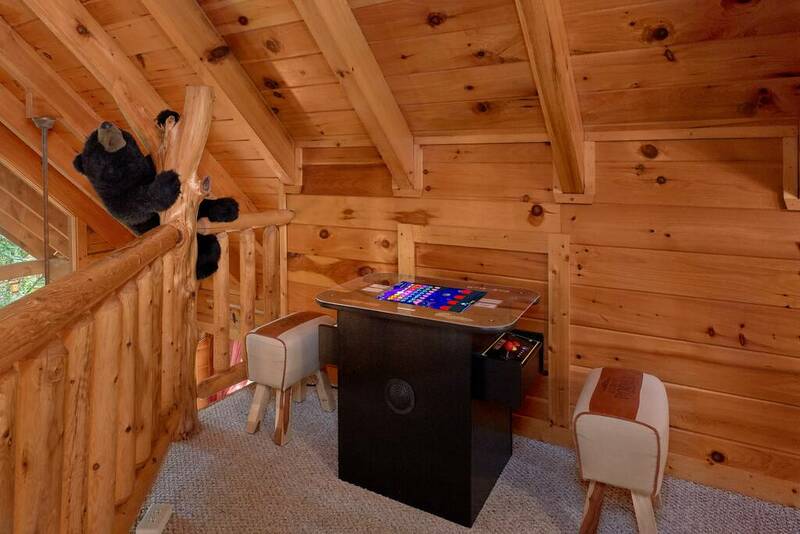 A pair of twin beds accompany a pool table and arcade system for a memorable place to sleep. 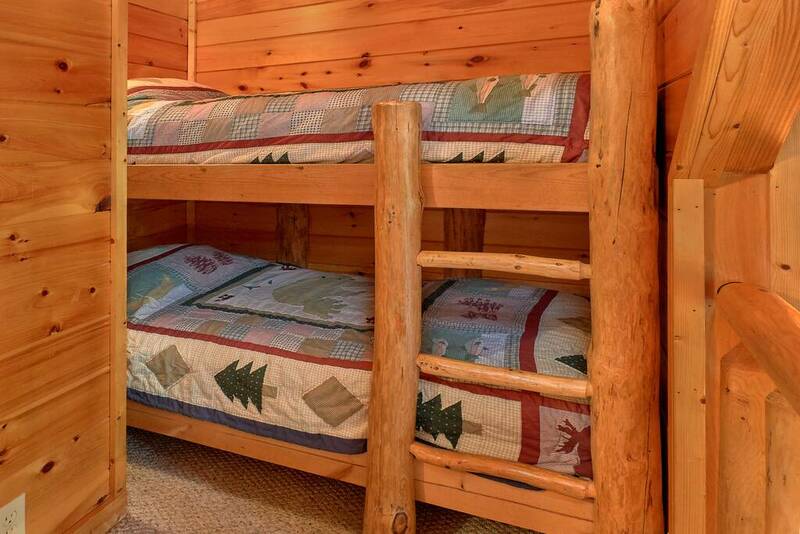 A sleeper sofa allows Catch Me if You Can to sleep as many as six. Enjoy the resort facilities of Alpine Mountain Village, including a swimming pool open between Memorial Day and Labor Day. 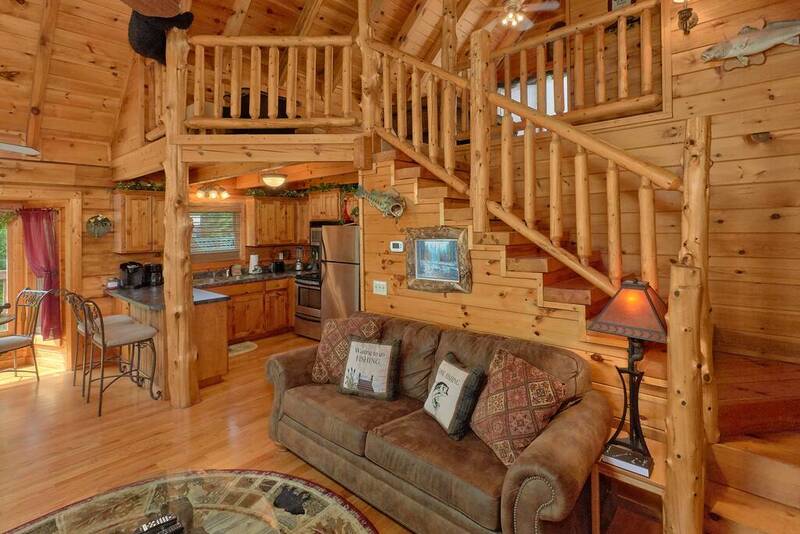 Its prime location makes day trips to amusement parks in Pigeon Forge and hiking in the Smokies an easy proposition, so book now and secure this beautiful cabin.